WAM! 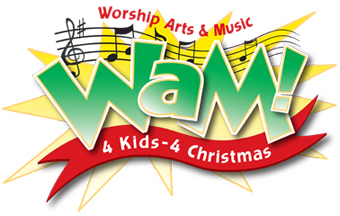 4 Kids 4 Christmas : Kathie Hill Music, LLC, Making music with and for kids for over 25 years! Songs 1-7 in digital downloads to involve more kids in worship arts and music. This is your value pack. If you want to go ahead and get all seven songs and save some money select the specific media formats that meet your needs, entering quantities for those which are licensed purchases, and checkout. NOTE: The downloads on some of the music files are pretty hefty -- a broadband connection is recommend. You immediately download master files to your computer - PDFs to print, MP3s to burn to CD or play from an iPod or computer, or video (WMVs) to burn to a data DVD or play from your computer. Then make copies equal to the number of licenses purchased (ie, one 5x license = 5 copies). Upon payment, log into your KathieHillMusic.com, ACCOUNT to download your masters. A broadband connection is recommended and files to print face plates and sequence inserts are provided. A downloaded WMV file contains videos of all 7 songs performed with choreography, costumes and/or props w/ license to make 5 copies. Script to a drama script to combine some or all of the 7 WAM! 4 Christmas songs. MP3 audio download of accompaniment for all 7 songs (01- 07) in two formats; stereo instrumental only & split trax withvocals and/or instrumentals on separate tracks (no solos or dialogue included). Your 3x license allows you to make 3 copies. A PDF file of the lead line (lyrics, melody/harmony & chords) for all 7 songs (01 - 07) w/license to make 5 copies - Additional copies require purchase of additional 5x license/s. Printed lead lines (lyrics, melody/harmony & chords) for all songs (01 - 07) in a sturdy plastic folder with fasteners. LIMITED SUPPLY.